Liberal Bohemian: Joan’s Last Day. 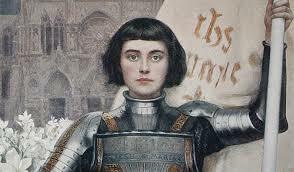 We've been following the Joan of Arc saga on the days it happened in 1431. Well, on Wednesday, May 30th, it ends. It was I was the angel and there was no other. And the crown was no more than the promise of my King's coronation, which I made to him. Alas! Am I so horribly and cruelly used, that my clean body, never yet defiled, must this day be burnt and turn to ashes! Ha! Ha! I would rather be beheaded seven times than suffer burning. Alas! 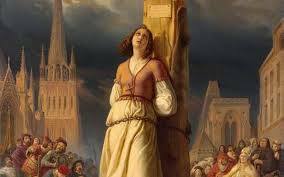 If I had been kept in the Church's prison, to which I had submitted--if I had been kept by churchmen, instead of by my enemies and adversaries, I should not have come to such a miserable end. Oh, I appeal to God, the great judge, from this great wrong and oppression! Bishop, I die through you! Master Peter, where shall I be this night? By God's grace I shall be in Paradise. Rouen, Rouen, shalt thou be my dwelling? I bet each priest here to say a mass for me. I pray you, go to the nearest church, and bring me the cross, and hold it up level with my eyes until I am dead, for my eyes while life lasts in me. 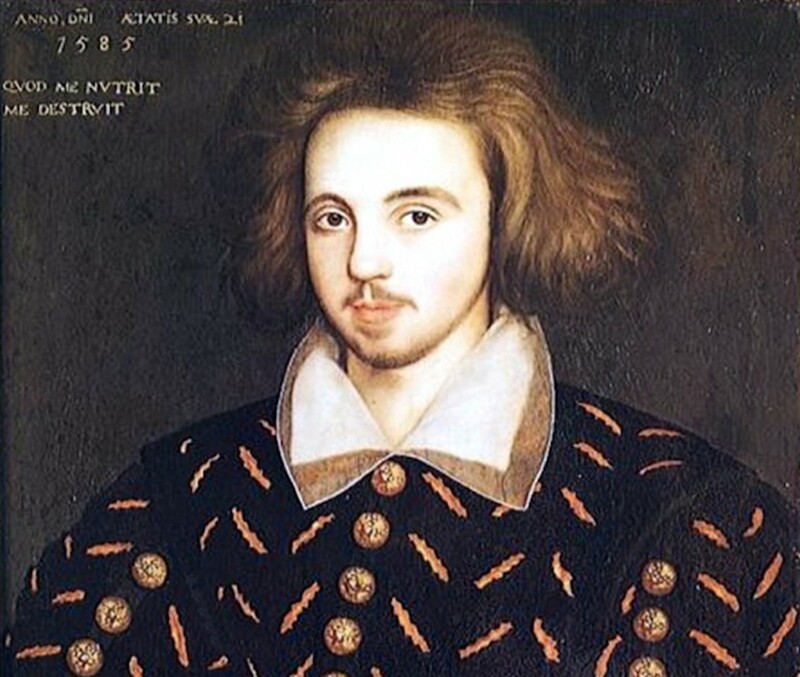 On this day in 1593, English playwright Christopher Marlowe, 29, was stabbed to death in a brawl over a bar tab. Or was he? Much like the character of Faust, Marlowe seemed to be wrestling with some demons himself that led to his death. Known to have a temper, it was said that he had had a fight with three men over a bar tab and pulled out a knife on one, who wrestled it out of his hand and stabbed poor Marlowe in the eye. In the book History's Greatest Mysteries, we are prevented with the known theory that Marlowe was a secret agent for the queen of England and the three men with him were known agents of the Queen. The story of Marlowe is similar to our current ex-president George Bush who had gone to Yale and was recruited in the C.I.A (OIS at the time); a fact George Bush will take to his grave because of the JFK killing connection. But I digress. Marlowe had attended Cambridge University, where it is thought he began to work in some capacity for the government, possibly for Sir Francis Walsingham, who ran an extensive secret intelligence network for the Queen. The tactic of placing spies and agent provocateurs at the heart of plots agasinst the queen had been used by Walsingham on a number of occasions in the past nd in one of them, known as the Babbington Plot, Robert Polly had played a leading role by posing as a Catholic sympathizer in order to get inside and inform on a plan to kill the queen. Robert Polly, along with tow other known lower level spies, were the three men Marlowe was with the night he died. 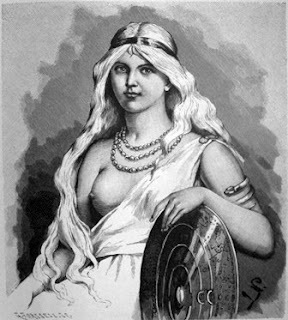 May 30th is sacred to the Norse goddess Frigg, queen of heaven and consort of Odin. This day in the USA, Memorial Day is celebrated (actually the first Monday of May, but originally the 30th.) Memorial Day was originally called Cleaning Day and was a day of cleaning and decorating graves as a way of paying homage to the dead.